K Works Empowered Power Cord — NEW version 3! $950 for 1M. Contact us about other lengths. Either end can be RCA or BNC (+$20 for each BNC). 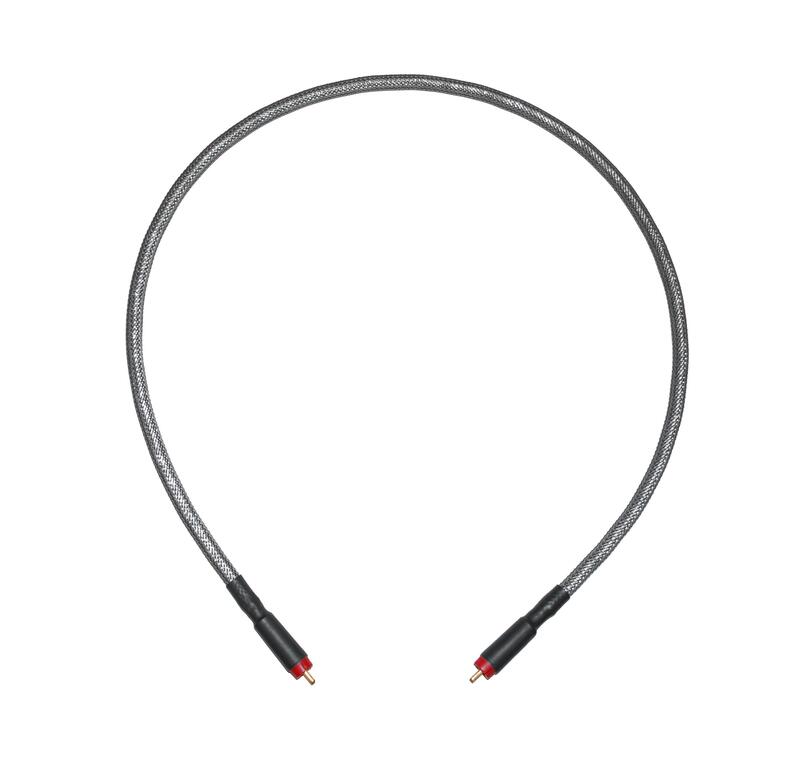 Premier audiophile grade 75 Ohm cable. Built with a pure Silver center conductor and a Silver plated OFC Copper coaxial outer conductor. Quadruple shielded for superior noise rejection. ERS throughout in a proprietary standing wave damping and interference absorbing configuration. A critical combination of Teflon, Teflon/air braid, foamed Polyethylene, Mylar dielectrics plus a carbon impregnated layer to quietly discharge triboelectric noise from micro-vibration. A carefully chosen vibration damping internal dielectric structure is used. No Vinyl or Polyurethane anywhere in or on this cable. Impedance ignoring minimum-metal Eichmann plugs are used if RCA terminated. Despite the complicated internal structure, this cable is very flexible. The Clearheart Digital doesn’t just get the data across cleanly with astounding detail and speed. It gets the detail across with such precision that it develops a sense of involvement not found in any other digital cable! Brilliant Zen Audio, Proudly powered by WordPress.